This week, we learned all about Ohio! 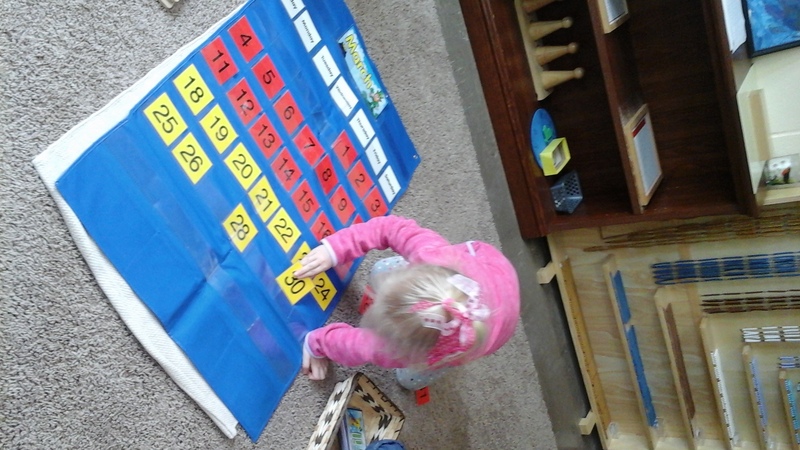 We learned that Ohio is the name of our state and it’s capital city is Columbus. We also learned that our state bird is the Cardinal and our state flower is the Carnation! We also learned that our state tree is the Buckeye Tree, which is why Ohio is refered to as the Buckeye State! Did you know that Iroquois tribe also gave Ohio it’s name? 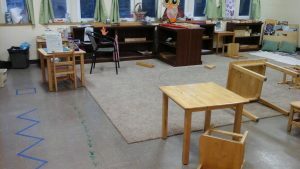 The children also enjoyed learning some Chinese phrases and words with Ms. Mel durring our Afternoon Group Time! We also had some fun on Friday reading some St. Patrick’s Day stories! Working on the Sushi transfer work from the Practical Life Area! 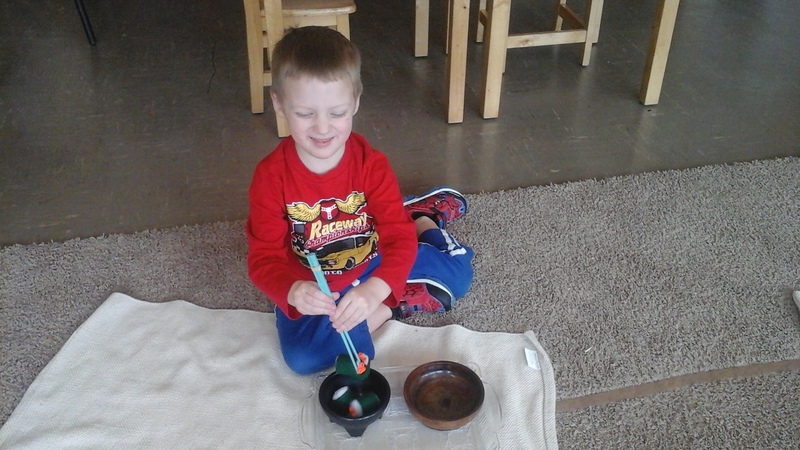 Using the chopsticks to move the pieces of sushi from one bowl to the other aides the child in developing their senses of order, concentration, coordination, and independence! 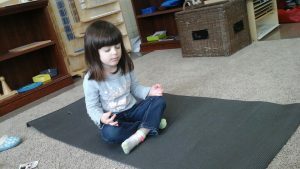 Practicing Yoga using our Yoga mat and cards. Yoga helps the child to develop self-regulation, gross-motor skill, and concentration! 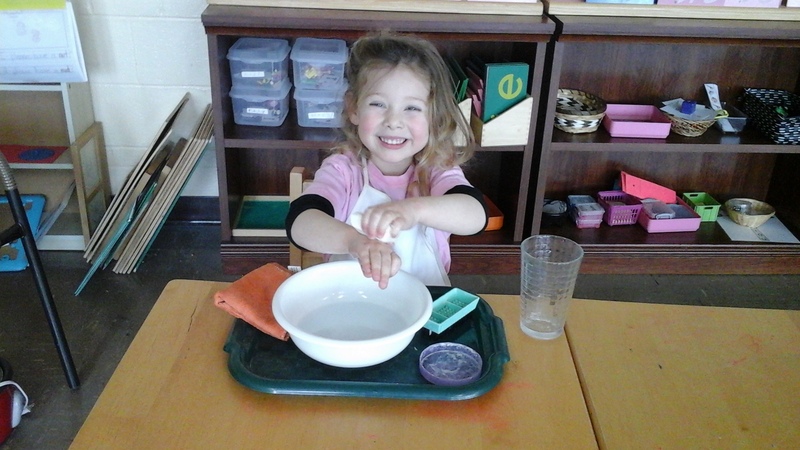 Working on the Handwashing Work from the Practical Life Area! 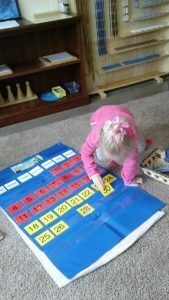 When working on this material, the child learns to remember and follow multiple-step instructions in order to complete the activity on their own! 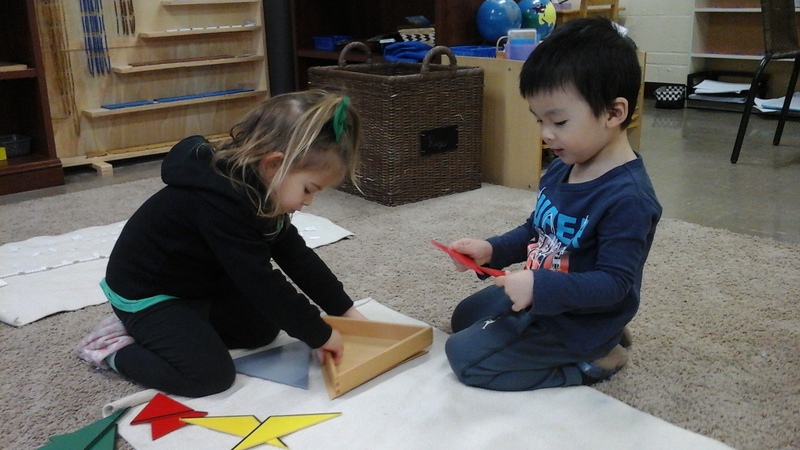 These two friends are working on the Triangle Box together! While working on this material, the child discovers differerent figures which can can be constructed from right angle scalene and obstuse angle scalene triangles! It is also indirect preparation for Geometry! 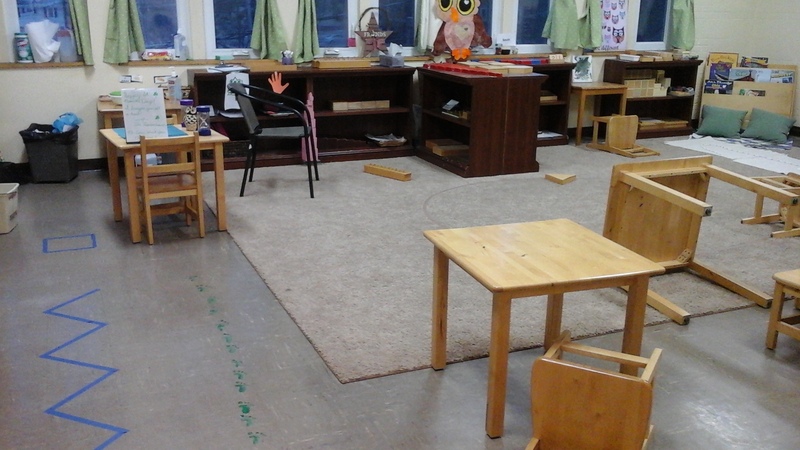 Our class also had a visit from a tricky Leprechaun who made a mess in our classroom!